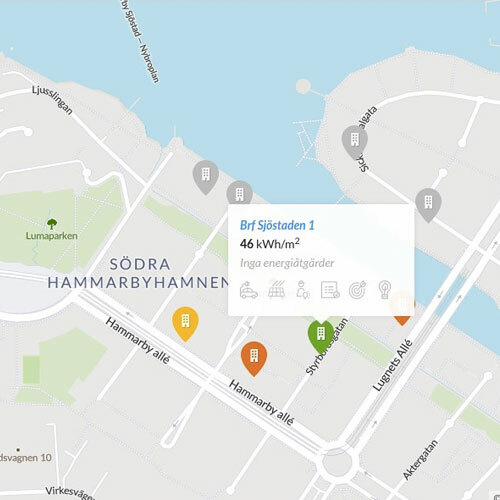 ElectriCITY is a platform for cooperation between colleges, research institutes, business and residents in Hammarby Sjöstad around the future’s energy-efficient and climate-friendly city. ElectriCITY has the ambition to develop Sjöstaden into a “Urban Living Lab” that attracts researchers not only from Swedish colleges and universities, but also from leading universities around the world. Hammarby Sjöstad will be a first choice as a Swedish node in EU projects on studies of and for sustainable urban development. The basis for research collaboration is that it will benefit those who live in Sjöstan and that it helps to make Hammarby Sjöstad a forerunner in the efforts towards reaching the Paris climate goal. The Royal Institute of Technology, KTH, Swedish Institute of Environmental Research, IVL, Research Institutes of Sweden AB, RISE, and Energy Research all are members of ElectriCITY and provide a guarantee of high scientific quality. ElectriCITY participates in ERANET, a project on future energy development, aimed at facilitating the transition from a community dependent on fossil fuels to a circular community. How will the future energy system be affected by the fact that we go from being consumers to producing our own energy? How should energy producers redesign their production to make it more flexible, while at the same time managing the energy consumption for the coldest dark night? How do future energy payment systems look like? The project has three test beds in Europe, of which Hammarby Sjöstad is one. The Swedish participants are Riksbyggen, Fortum, Veolia, Ellevio, KTH and ElectriCITY. Read more about ERANET by Björn Laumert, KTH, here. ElectriCITY has participated in an project on energy efficiency called CIVIS since 2013, now called Brf Energi. The purpose of the project was to influence energy consumers through information. To be able to follow their own and neighbors’ consumption of electricity and energy in real time via an app. To see what energy efficiency efforts make for the difference in energy use for the individual property. Get tips on reduced energy deficiency. The project has had two test beds in Italy and two in Sweden, one in Hammarby Sjöstad. Read more about CIVIS by Björn Palm, KTH, here. In cooperation with Intel Sweden AB, Ericsson, Stockholm City, Skanska, KTH and others, ElectriCITY wants to take a holistic approach to the digital structure of IoT and 5G to lift Hammarby Sjöstad to the next level of climate and sustainable development. 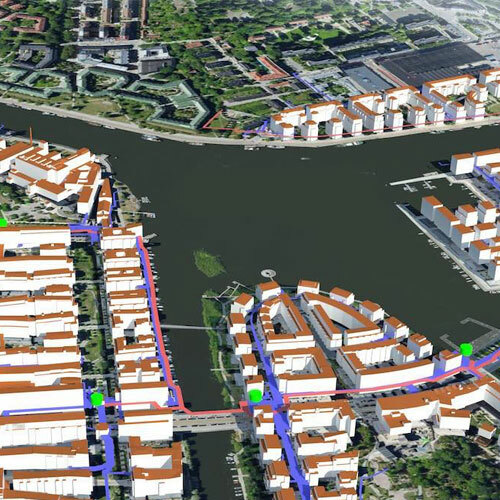 We are now preparing a preliminary study on how Hammarby Sjöstad can serve as a test bed for horizontal integration of IoT and high capacity via 5G for better control of energy, transport, recycling, air quality, which aims at better resource flows and better use of scarce resources. We hope that such a test bed will be in operation by 2020 and get full impact over the next five years. Read more about IoT by Johan Falk, Intel, here. ElectriCITY is a partner in a new, long-term strategic innovation program, Viable cities, which will be executed in 2017 and will start operations in 2018. KTH hosts and coordinates the program. The aim is to contribute to research and innovation in the area of ​​smart cities, thereby contributing to Sweden meeting its energy and climate goals and creating the conditions for sustainable growth. The vision is that “Sweden will inspire and play a leading role in energy and climate efforts, through smart and sustainable cities”. Viable Cities emphasis on four focus areas: Lifestyle and Consumption, Planning and Built Environment, Mobility, Integrated Infrastructure. 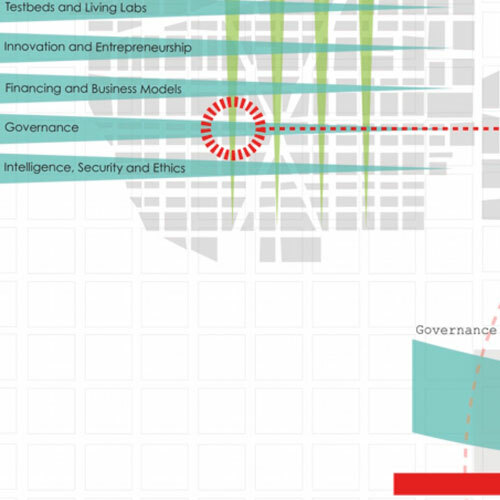 Viable Cities is a strategic innovation program consisting of community members from mainly four groups: business, public, research and non-profit sectors. Among the participants are four cities, Stockholm, Gothenburg, Malmö and Umeå, as well as KTH, Chalmers, Lund University, Umeå University, and RISE. Businesses from Ericsson, Scania, Skanska and Intel participate. The program is funded by the Swedish Energy Agency, Vinnova and Formas. A strategic innovation program is a long-term commitment of up to 12 years in which the program is evaluated and granted possible funding for a period of three-years at a time. Read more about Viable Cities by Olga Kordas, KTH, here. 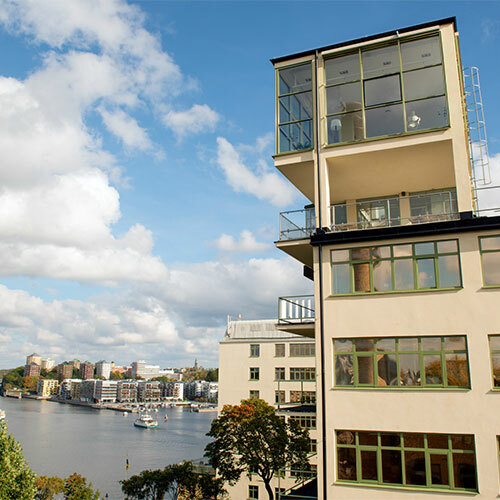 In Hammarby Sjöstad, one of Sweden’s and Europe’s leading research centers for water purification technology can be found namely Sjöstadsverket at Henriksdalsberget. The lack of clean water is a growing problem in the world – and in Sweden. Sjöstadsverket improves existing technologies and develop and implement new technology and new methods. There are measures that lead to reduced climate impact and resource utilization at the treatment plants. 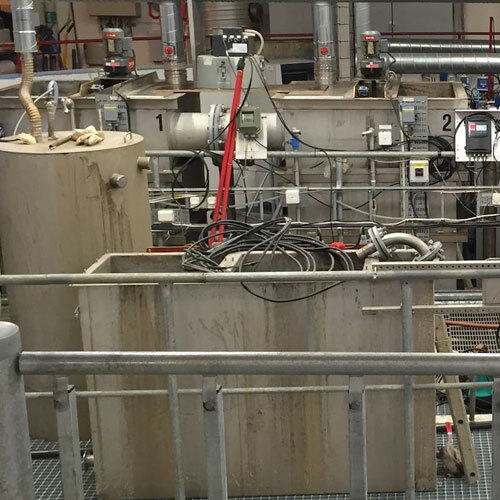 One of the projects is to develop the municipal water treatment plants into a production plant for energy, commercially viable substances, such as phosphorus, and clean water, ie a circular economy. Through research projects, Sjöstadsverket contributes to promoting Swedish cleantech exports in the water sector. Sjöstadsverket is owned and operated by IVL and KTH, both members of ElectriCITY. Read more about Sjöstadsverket by Staffan Filipsson, IVL, here. Sharing Economics / Internet of Things. KTH participates in a national project to develop sharing economics, sharing cities. KTH has chosen Hammarby Sjöstad as the test bed for the project, which started in autumn 2017 and runs over three and a half years. KTH will, among other things, develop digital platforms for sharing services. ElectriCITY is organizing and coordinating the project at the local level. 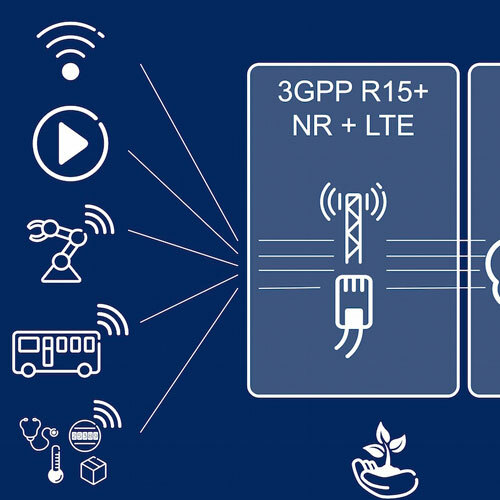 Through this digital development work, the intention is to make Hammarby Sjöstad a demo for Internet of Things / 5G in collaboration with, Ericsson, KTH and others. One of these projects deals with the distribution of packages, the last link in the e-commerce chain.